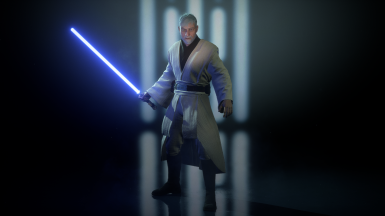 Re-skin of robed appearance of Obi Wan with new texture for both default and robed appearance. Also replaced default Kylo Ren with second appearance. 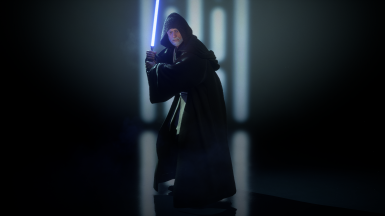 Issues: None to my knowledge, let me know if any and I will fix it as soon as possible. 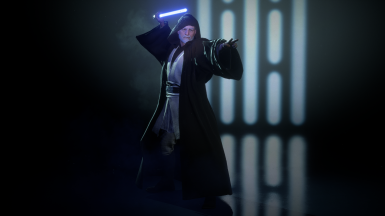 Updates: May update it with the default appearance as well as the kylo ren default appearance( if variation is possible) and will update it after game updates, if no longer working. 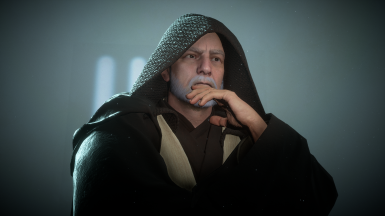 Bonus: If you place this great mod below mine, it can result in the last image, didn't do this for my default appearance as I couldn't get the hair to work as well as have other mods I want to finish.